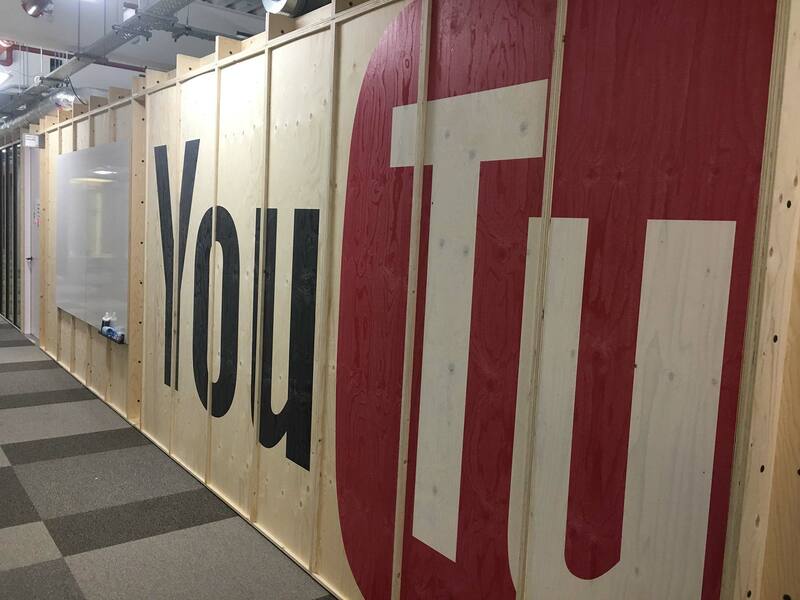 Spaceman designed, fabricated and installed the interior branding for YouTube’s new London Headquarters. 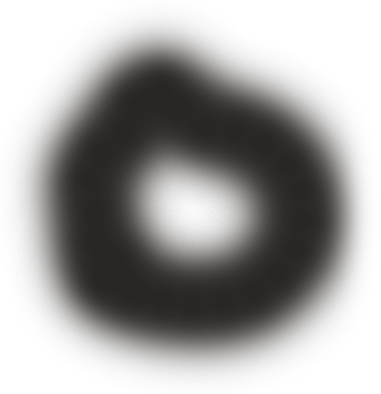 Offices, Meeting Rooms, Public areas and thoroughfares of the floors and also for their creative space. 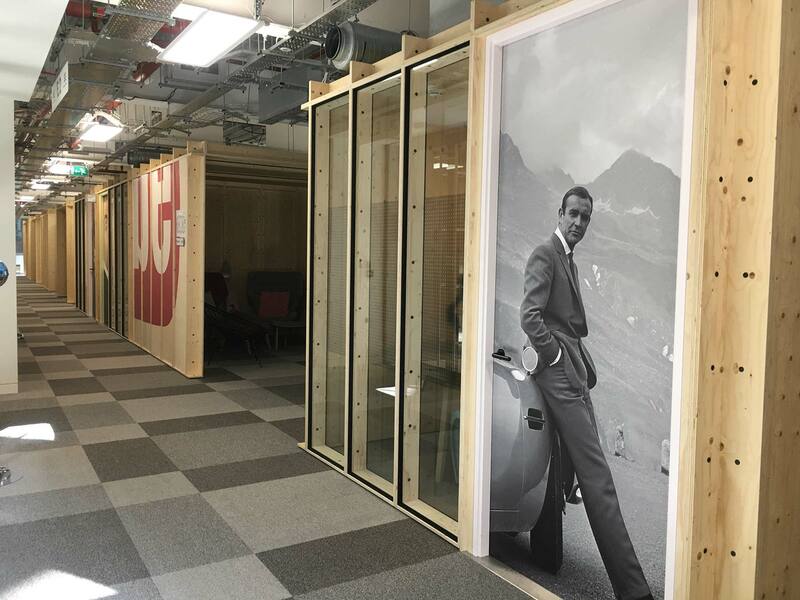 We used very small sections of the logo at a massive scale printed directly onto plywood matching the meeting room ‘jacks’ construction. These can be moved and reassembled to whichever configuration to facilitate a constantly changing workplace dynamic and future proof the office environment. 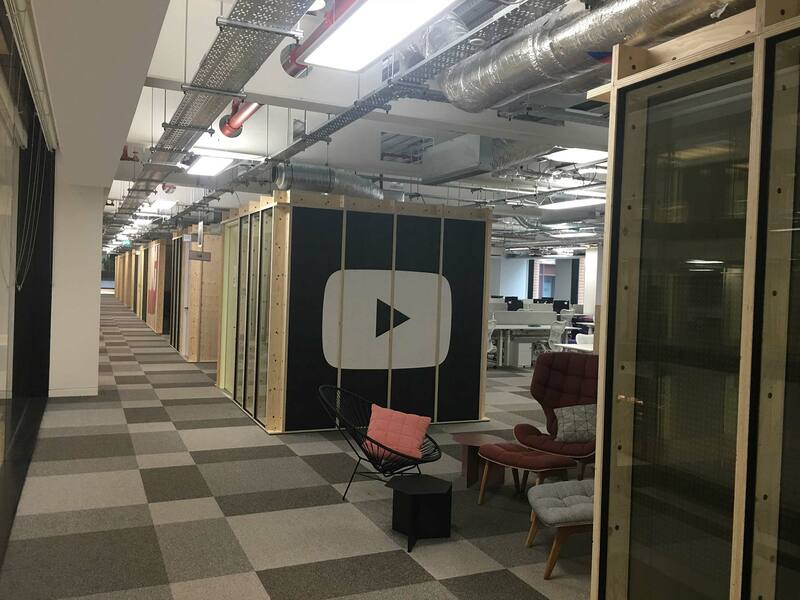 They can be seen and read easily from across the atrium but act as colour and pattern when nearby so that brand is subliminal and also acts as Landmark wayfinding from any floor. 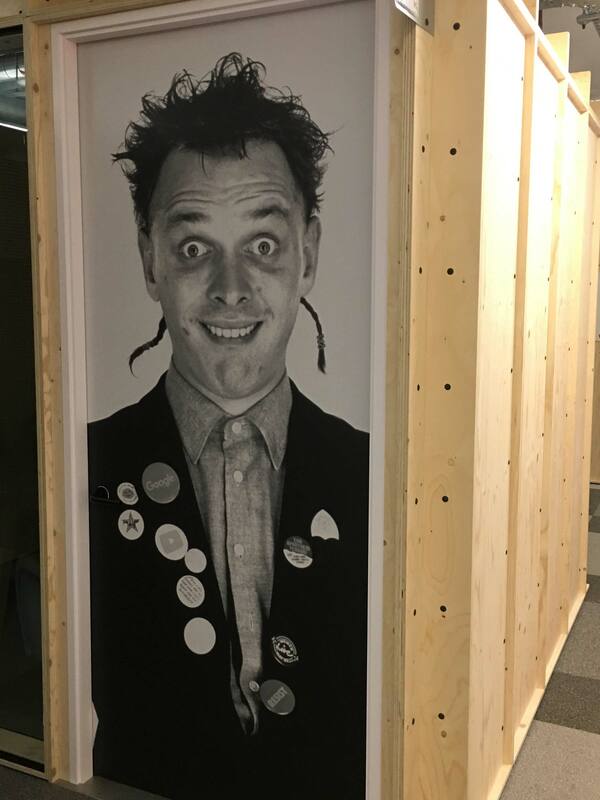 Meeting rooms named by staff were represented in a fun way. 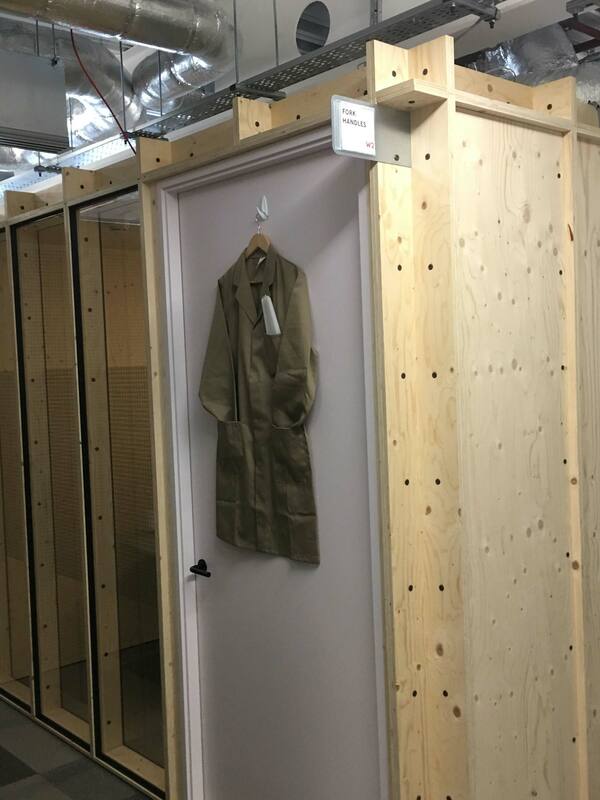 For example for the ‘Fork Handles’ room (taken from the famous Two Ronnies’ sketch) we hung a brown hardware shop coat with four candles in the pocket on the door rather than the obvious approach of print. 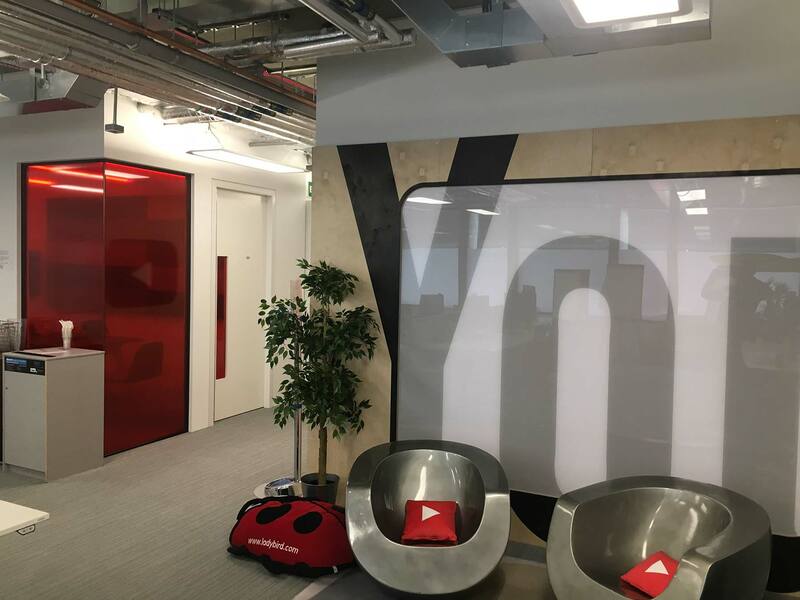 Magnetic, dry-wipe meeting room finishes with magnetic logos for video conferences, blackboard YouTube play buttons all to allow brand and function to work together.